Your company's phone system is critical to your ability to run your business efficiently - connecting with clients and customers reliably. If you switch to a Voice over Internet Protociol system, will that help or hurt your business efficiency? And most importantly, what will it do to your bottom line? You need to be able to rely on your phone system. System downtime can cost you valuable hours of productivity. 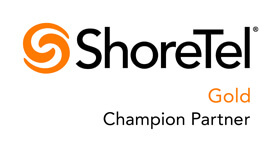 A VoIP system like ShoreTel uses single site architecture, which offers reliable connectivity as well as scalability. The connectivity of the modern world means that in a huge range of industries more employees are able to work remotely. While this can make for happier employees and lower overhead costs, unreliable phone systems can eat up hours of productivity. VoIP lets remote employees access the same phone system - with the same reliability - as employees that are in house. Increased reliability means increased productivity, which means more efficient employees. When you can do more with fewer employees, you can save a lot on payroll costs. With 43% of companies experiencing some type of data breach in 2014, concerns about security are at an all-time high. Unlike standard phones, VoIP service providers can configure systems to use an encrypted Virtual Private Network (VPN) to offer increased security for the safety of your employees as well as your customers. The short answer is that yes, a VoIP service provider can certainly save your business money. Of course, the actual savings will vary depending on how your business uses your phones.